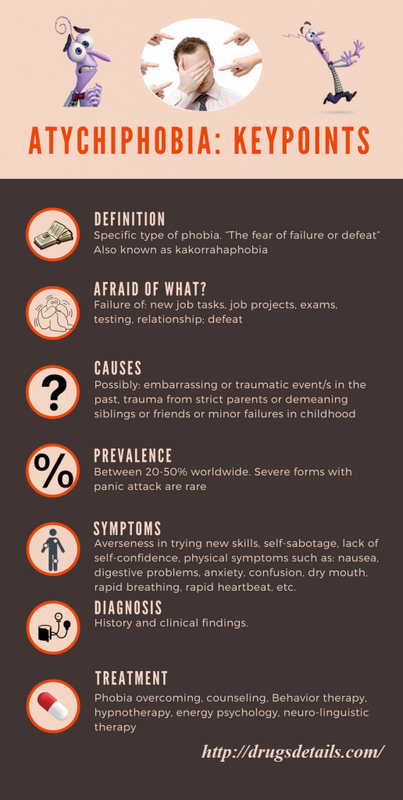 Atychiphobia also known as Kakorrahaphobia is “the fear failure or defeat”. It is categorized as specific type of phobia and subtype of anxiety disorder characterized by persistent, unwarranted, irrational and intense fear or worry of failure. Normal sum of doubt regarding success is normal and good thing in life since overconfidence is never good characteristic. Normal amount of failure fear is every day present during participation in certain projects, examinations, tests, sport competitions, relationships is usually present in most people. However, when the fear of failure takes on an extreme form it becomes a phobia. Patients with Atychiphobia most commonly fear failure because they have lack of confidence in themselves and their abilities. Some may experience great fear of failure because of the ridicule one can face remaining to the failure. Likewise, some persons have atychiphobia due to the fear of taking risk and right steps. Atychiophobes often have unrealistic expectations with or without presence of excessive standards of behavior. Are there differences between atychiphobia also known as kakorrahaphobia? Atychiphobia is pronounced as a-‘tik-i-“fo-bE-a. It has been roughly estimated that prevalence of some forms of atychiphobia varies betwen 20-50% worldwide. Although mild forms of atychiphobia are common phenomenons, experienced almost every day among some individuals, severe forms of atychiphobia accompanied with intense distress and panic attacks are not considered to be so common. The rate of atychiohobia varies from country to country and it is significantly increased during last 10 years. For example in Japan estimated rates of a fear of failure in 2001 was about 22%, while in 2014 rate was considerably increased to even 54% of population. According to this, every second Japanese have some form of this fear. In the U.S. rates of this fear are reported in about 28% of cases in 2014 compared to 21% in 2001. But it can’t be said that fear of failure is actually real phobia that needs treatment, if there are no present important signs and symptoms of anxiety. 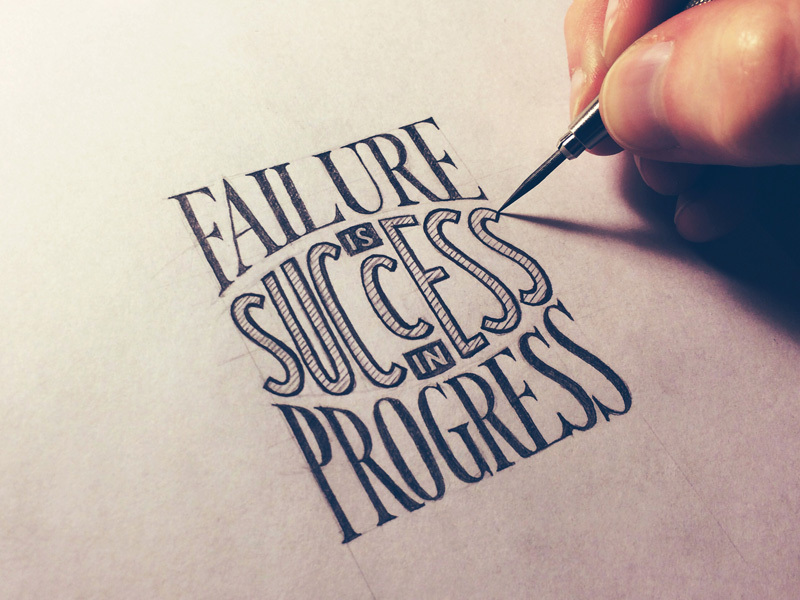 It can be said that in most cases the fear of failure is a form of stress rather than isolated phobia, because fear of failure is considered as normal. Thus, only severe cases of this fear can be considered as atychiphobia. What are patients with atychiphobia afraid of? Averseness in trying new skills or to even do some that he/she could do before. Self-sabotage including: procrastination, intense anxiety, or a failure to chase your goals. Perfectionism as a willingness to do only skills that he/she knows can do perfectly and successfully. Atychiphobe will tend to tell people earlier that they should not expect from him or her to succeed in order to lower their expectations. Atychiphobe often develops last-minute headaches, stomach aches, or different physical symptoms that may prevent him/her from completing preparation. Once atychiphobe fail at something, he/she usually have a trouble imagining what could have done better to succeed. Atychiphobe often get preoccupied by some tasks that may prevent him/her from completing primary preparation, which are truly not as urgent as they seemed to be. Atychiphobe tend to delay or “run out of time” in order to complete preparation adequately. These symptoms are usually exhibited when patients with atychiphobia are asked to do a new task that they have never done before or some other tasks that they know they will not be 100% successful at. In such situations, the mental process of atychiphobe will become so chaotic accompanied with persistent fear that they might look like they are “break down” when put into these situations. Atychiphobes believe that the results of most of these tasks and projects would be imperfect and might get them in embarrassing situations, not realizing that perfection is only an illusion. In some cause their phobia may cause them to quit their jobs, colleges or to end relationships to avoid the failure therein. Atychiphobia may also to sabotage, faking illnesses or making constant excuses or telling blatant lies in order to avoid situations that will provoke their phobia. Such outcomes may lead to demotions, negative reviews, unemployment and divorces if the phobia is left untreated. Symptoms may get worse over time. Drop in self-confidence and losses of motivation may be experienced very soon, leading to even more severe symptoms such as depression. “We agreed to try again. I had one final shot”… He was excellent and was hired. Atychiphobia is most commonly related to some embarrassing or traumatic event/s in the past. Having a bad experience in the past can provoke to be afraid of trying the same or similar actions to repeat again. For example: Several years ago you had a significant competition, and your results were very bad. Such experience might be so frustrated to you that you eventually developed a fear of failure about not only that competition, but also in the all other competitions as well. Even now when you know that you have improved all your skills, and that you can be far better, in general you carry that fear subconsciously. Parents who know to be very strict or overly demanding or demeaning siblings or friends may also make a child to gain extreme fear of failure. Minor failures during childhood can cause severe embarrassment. These may lead to negative emotions when dealing with other challenges. Such fear will continue to grow and may become more intense as one get older. In addition, we all know that our life lay on certain expectations associated with look, education or relationship, thus all of these may preset definitions and norms of failures and success. While the true causes and mechanisms of atychiphobia development may be unclear, there are certain risk factors that may be responsible for. There are some evidences that genetic component may be the most important risk factor of causing it. Those who have close relatives that have fear of failure; they are at greater chance of developing it. However, it is unknown whether it is really caused by genetics, learned behavior or perhaps a bit of both. Different mental disorders are usually predisposed factors of other mental illnesses. 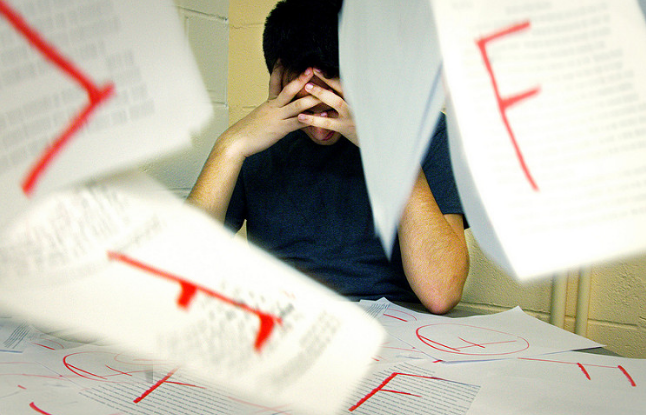 The fear of failing is closely connected with the fear of rejection, and it is common that some individuals may have both. 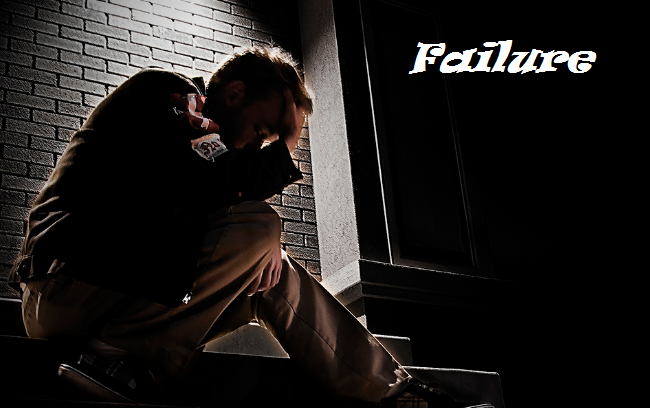 Many atychiphobe are afraid of failure because they think they will be rejected due to this failure. So, these feed into each other. Social isolation and agoraphobia. The fear of failure may result with not dealing with anything or going anywhere. Social situations, work, college and so may be sabotaged. Because of this, atychiphobes may become socially isolated. Depression. Because of the extremely fear of failure, depression is a commonly related with atychiphobia. Substance abuse. Those with atychiphobia can often start using drugs and alcohol as a way to medicate and cope with their fear of failure. Suicidal ideas and suicide. Due to different symptoms and severe complications, those who suffer from intense atychiphobia left with no treatment may resort to suicide, feeling that it is the only way out of their situation. Is an atychiphobia (the fear of failure) a matter of perspective? Nobody is perfect and perfection is an illusion. There is no such person in the world, who didn’t experience some kind of failure during life. So it is only up to us, as we can decide to see failure as ‘the end of the world,’ as a proof of just how imperfect we are or we can look at failure as a good learning experience. Thus, every time we fail, we should take it as a learning lesson which will make us more prepared for new challenges and will keep us from making the same mistakes again. Most of us will eventually fall during life at least once. Doors will slam our faces, and we will surely take some bad decisions. But, think of the perfect opportunities and great time you will miss if you let your failures stop you. Failures are keeping us alive as teach us things about ourselves and give us experience that we would never learned otherwise if we were not exposed to them. Failure is making us stronger. In failure you may discover your truest friends or you may find some unexpected motivation to succeed. Failure might be the key to succeeding in life. So, yes, fear of failure is matter of perspective! Except history and clinical representation or eventually expression of direct fear after exposure there are no other diagnostic methods for identifying whether the person is suffering from trypophobia or not. Medication therapy is not recommendable for this type of phobia. Many professionals see that drugs such as anti-anxiety or anti-depressive drugs may mask the problem instead of actually managing the problem. Other treatment methods are available and have shown some positive results in treating atychiphobic behavior. It is very important to know and realize that everything we do, there is always a possibility that we might fail. Facing that possibility, and embracing it, will help us to overcome the fear of failure. Analyze all potential consequences – Many people have this phobia because they fear of the new unknown things and tasks. Eliminate it by considering all of the potential outcomes of your decisions. Think more positively and learn it – Positive thoughts are extremely powerful way to shape self-confidence and neutralize self-sabotage. Look at the worse-case scenario – Although, the worst-case scenario may be very disastrous and be the cause of the fear failure, in most cases it can actually not be that bad, and recognizing it can help. Have a plan B – as it can make you feel more confident about moving forward. Take action – The best way to lessen the fear and build up your confidence is taking action. After you done this you will start getting the experience and knowledge. Bear in mind that everything is hard for the first time. Start off with small steps and build up your confidence until the fear of failure is overcome. Burn your ships after landing – When ancient Greek armies went to battles and traveled across the sea, the first thing they would do after landing was to burn their ships, leaving them with no way to get back home besides victory, the resolve of the soldiers was fortified. When success and failure are the only options you have and if you have a goal, but you are afraid to commit, force yourself into action by burning the boats. Persons with atychiphobia are commonly uncomfortable with setting goals. Goals are very important for predicating where we want to go in life. Many experts will recommend visualization as a good method for goal setting. Imagining how life will be after reaching final goal is always a great motivator that will keep you moving forward. The favorable option is to start by setting a few small goals. These should be goals that are somewhat, but not extremely challenging. Once achieved, these small goals can be good route for much bigger goals. You should not be concentrated on the final picture. Just focus on the next step, and try to make a good routine, reducing the execution errors. Counseling may be the best option for treating this type of phobia. By visiting with a trusted counselor, you should sooner or later be able to open up yourself and create new coping strategies to deal with stressful situations. Probable cause of atychiphobia may be emotional trauma in childhood. Hypnosis has been shown as effective treatment option for various phobias. It works by retrieving the underlying cause of the phobia and eliminating affected response to the stimulus. The initial goal of the hypnotherapist is to discover the event from which the phobia is developed. In most cases the cause is traumatic event which in the past. Regularly the phobic individual does not remember this past event as it can be repressed for many years. Repression is known as a protective mechanism of our mind that utilizes by keeping memory of the trauma out of our conscious until we are ready and able to deal with it. In order to access this memory state of heightened relaxation and focus or hypnotic trance need to be achieved so unconscious can be accessed. Thus unconscious memories can be revealed and brought to conscious awareness. When this is achieved, the phobia will generally disappear. Energy Psychology uses various techniques that can be used for treatment of various mental disorders (e.g. phobias) including: acupressure, yoga, prana, qi gong, tai chi and energy medicine, teaching people simple steps for making changes in their lives. These techniques may stimulate energy points on the skin surface which, when paired with particular psychological procedures, can change the brain’s electrochemistry. While energy psychology therapy is still a controversial, it appears to be very help with dealing with phobias including atychiphobia.